DENVER, Colo. (August 31, 2016) – Traditional country music fans have plenty to look forward to on upcoming episodes of the national variety series “The Joey Canyon Show,” airing on RFD-TV. The program, which is shot on-location in scenic Denver, Colorado, features the who’s who in country music. September’s episodes will feature Doug Stone, Daryle Singletary,Pam Tillis, Josh Abbott Band and John Berry. Enter your zip code here to find RFD-TV in your area. 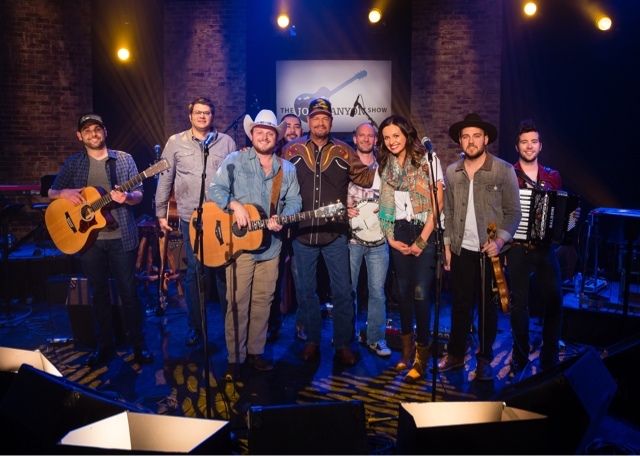 Hosted by Denver’s own Joey Canyon, the show aims to entertain fans in a location “where the music meets the mountains.” As a traditional country artist, Canyon has made it his mission to showcase artists that he loves, while also showing off his homeland on a bigger, national scale.The Denver Post took readers inside the studio for the final day of tapings for season on. The show is also co-hosted in season one by country singer/songwriter Dean Miller, who is the son of country chart-topper Roger Miller. The 30-minute series began airing in January and airs Friday evenings at 10pm Eastern / 9pm Central. So far this season, the show has featured artists like Mark Wills, T.G. Sheppard, Wynn Varble, Irlene Mandrell, Highway 101, Moe Bandy and more. “The Joey Canyon Show” airs in over 65 million homes nationwide on RFD-TV. The program is carried by Comcast, Direct TV and Dish. Comcast Entertainment Television on XFINITY channel 900 (HD) and 105 in Colorado, and XFINITY channel 6 in Utah, airs the show Sunday evenings at 8:30pm MDT and Tuesday evenings at 7:30pm MDT, with additional airings on CET throughout the week.